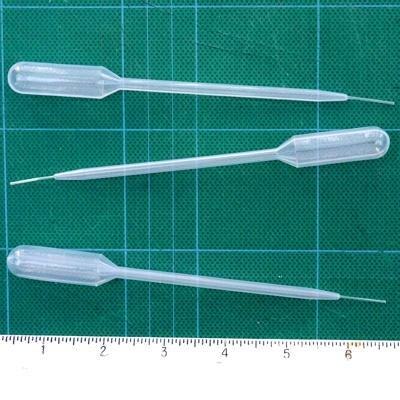 Non-clogging 6" long pipette for the application of thin CA. CA is sucked up into the applicator by inserting it into an open CA bottle with the bulb at the end compressed, like an eyedropper. Can also be used for the fine application of accelerator.